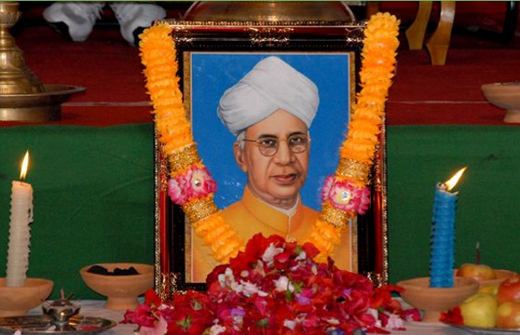 Mangaluru: September 3, 2015: Mangalore University will celebrate teachers’ day in a befitting manner at the Mangala auditorium on its Mangalagangothri campus on September 5. H P Kincha, former vice-chancellor, Visvesvaraya Technological University, Belagavi and professor, department of electrical engineering, IISc, Bengaluru will be the chief guest. K Byrappa, vice-chancellor will preside. The Mangalore University best teacher awards from the faculty of arts, science, commerce and education, will be presented on this occasion. The university will felicitate eminent persons from districts in its jurisdiction - Dr B M Hegde, former vice-chancellor, Manipal University from Udupi, Major Venkatramayy N (retired), former director of physical education, St Philomena College, Puttur from Dakshina Kannada, and M D Muthamma, former director of collegiate education, and director, academics and administration, BMSCW, Bengaluru from Kodagu for their outstanding contributions to the field of teaching and research, P S Yadapadithaya, registrar, stated.